What Do the Different Colors Mean in the STAR Tool? The different colors show the energy behind any market. Green means positive, upward sloping momentum. Red means the opposite. Yellow occurs when, in the current period, the slope/direction changes for the specific trigger. 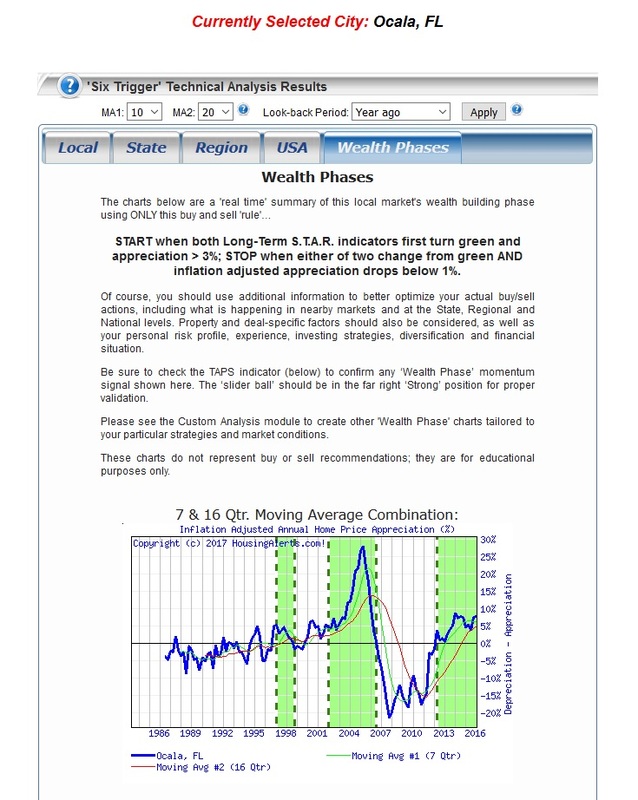 The *long term STAR triggers (at a minimum) should all be green in the current period to initiate a new investment in that market if the TAPS indicator is showing “strong” (or close to it) and if the market is already in a green “Wealth Building” phase on the Market Scoring Report. Markets that do not display a consistent one-color pattern; with seemingly random (horizontal) color changes from one period to the next, especially in the long-term triggers, are generally lacking ANY momentum, and are poor investment markets for Leveraged Appreciation.